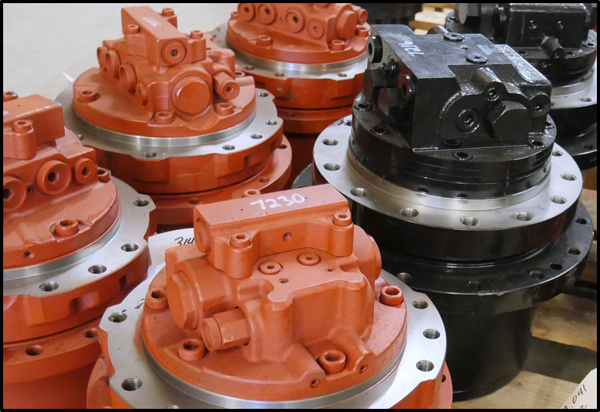 Valve blocks, in one form or another, can be found on all hydraulic motors -- including final drive motors and travel motors. In this Shop Talk Blog post, we are going to answer some common questions about valve blocks. What Do Valve Blocks Do? The valve blocks in most hydraulic motors are fairly simple in design and function. They act as a switchboard, directing the flow of hydraulic fluid into and out of the hydraulic motor. They include hydraulic ports for input flow and output flow, and may also include ports for a case drain line, brake line, or two-speed line. Why Use a Valve Block? Valve blocks provide a rigid, compact means of connecting valves and ports. In addition, valve blocks reduce the overall pressure drop that results from using valves, which means better performance. Valve blocks also mean fewer leak points and are easier to connect to. What Are Valve Blocks Made From? Most valve blocks for hydraulic equipment are made from aluminum or steel, depending on the operating pressure involved. Aluminum 6061-T651 remains popular because it is both lightweight and corrosion resistant. However, you will rarely if ever see an aluminum valve block on a hydraulic final drive motor because of high pressures. It is extremely important that valve blocks be extremely rigid because they experience such high levels of pressure, which is another reason why steel would be chosen over aluminum. Most hydraulic motor valve blocks are cast as part of the hub, then the holes are precision bored -- which leads to our next topic. How Are Valve Blocks Made? Valve blocks are precision machined out of steel or aluminum stock. This involves more than one machining process, including milling and boring to extremely tight tolerances. The use of a block of metal is preferred because it adds more rigidity and strength to the overall valve block design and reduces the number of potential leak paths. How Do Valve Blocks Fail? When valve blocks fail, it is usually one of three things: a failed valve resulting in incorrect flow (in which case, the valve and any seals and o-rings will need to be replaced), a leak (which could be due to a failed seal or o-ring), or a crack (which could also result in a leak). A crack is going to be a catastrophic failure and means the entire valve block must be replaced. Failed valves and seals, on the other hand, can be removed and carefully replaced. Keep in mind that when a valve fails it may be due to trapped contamination and could point to a larger problem with the hydraulic system as a whole. Can Valve Blocks Be Rebuilt? Replacement valves and ports, along with o-rings and seals, can be installed in valve blocks if they fail or wear out. Rebuilding beyond those replacements becomes problematic. If a valve block is cracked, it could be welded but that in turn could lead to weaknesses elsewhere, especially if there are internal cracks that you cannot see. Your best approach would be to replace a cracked valve block. If it is integrated with the hub, the entire hub would need to be replaced. 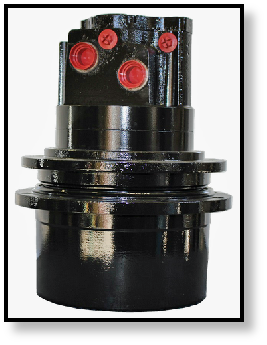 Valve blocks and manifolds have very tight clearances involved, and damage from contamination can cause the bore diameters to be uneven or scratched. Re-boring a valve block will, in all likelihood, increase the bore diameter beyond allowable tolerances. 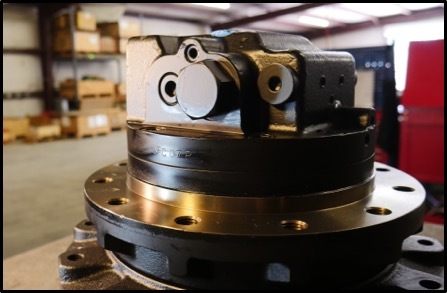 In the case of valve blocks that are not integrated with the motor hub, attempts at resurfacing a valve block to restore it to flatness or smoothness may cause a loss of surface finish, which usually includes special surface treatments. This will compromise both the performance and integrity of your valve black. What Are the Major Concerns When Working With a Valve Block? 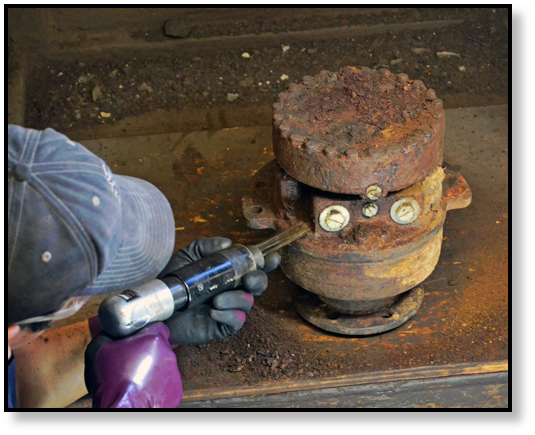 If you are working on a valve block, it is extremely important that you have a clean work surface. It should be free of dirt, dust, rust, scaling, grease, and any other debris that could be introduced as contamination into the hydraulic system. Seals and o-rings should always be replaced when valves are replaced, and the valve block should be flushed with clean hydraulic fluid before it is installed. 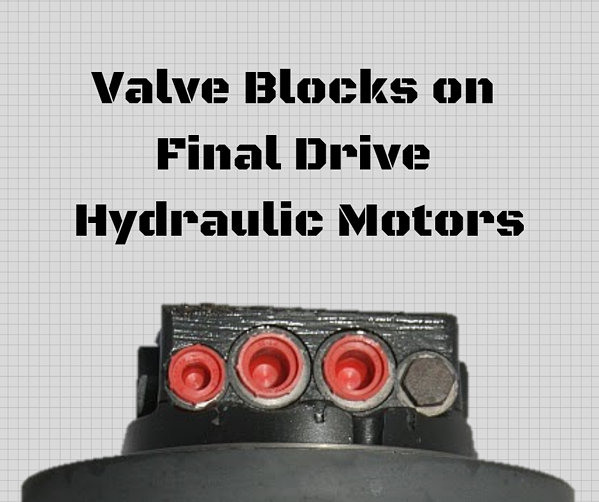 Valve blocks are an important part of some final drive models. We hope this post has answered your questions. If not, let us know in the comments and will try to find an answer for you.